We at Compass are constantly asked about recognition and accreditation of our courses. We have worked hard at establishing a quality service delivering quality courses in a way that satisfies the rigorous standards applied by a number of independent bodies. These independent bodies range from the professional to the academic and many are under the control of government departments and offices. We believe that our list of organisations that approve or recognise Compass and its courses is unrivalled in the private provision of animal related courses. We are pleased to announce that the ZSL will accept Compass students' applications for Student Fellowship of their organisation (application forms are sent out as part of the registration process). Apart from an extensive list of benefits to individuals we feel that it is an honour to have been allowed such an arrangement which permits us to promote and support the conservation and research work that is carried out by such an esteemed organisation. In direct support of the Scottish Executive's Lifelong Learning Strategy, the mission of learndirect scotland is to help individuals and small businesses across Scotland to realise their potential through learning, at a time, place, pace and style that suits their needs. Working closely with key partners, we seek to enhance the skills and employability of individuals and the competitiveness of companies, by encouraging disadvantaged and disaffected people back into learning to improve their personal and work-related skills and by helping small businesses to access training and development opportunities for their staff. is the regulatory body that represents animal trainers and animal behaviour therapists to both the public and to legislative bodies. It is the only animal welfare charity that is primarily concerned with protecting the psychological welfare of animals undergoing training and behaviour activities. 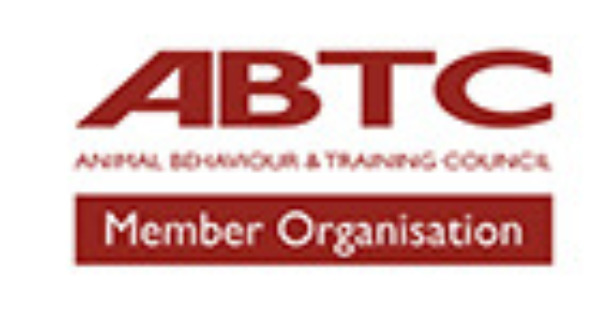 Membership is conditional upon member organisations meeting the ABTC membership criteria. Compass is a member of the Equality Register, our unique number is 4784. Local authorities and other Public Sector Organisations have a duty to ensure that their suppliers and sub-contractors have appropriate equality policies and practises in place. The Equality Register is managed on behalf of the Association of Equality Scheme Providers (AESP) and are able to verify and update an organisation's equality status on The Equality Register and are able to issue Accreditation and Certificates which confirm and that an organisation's policies and practices meet the AESP National Equality Framework (NEF) standard requirements. The Canine Behaviour & Training Society. As a result of our mutually compatible interests in promoting highly qualified (practically and academically), professional and ethical canine behaviour advisors Compass is pleased to announce a formal association with the TCBTS (formerly UKRCB). The TCBTS (formerly UKRCB), founded in 1992 is a professional body of canine behaviour therapists with members practising throughout Great Britain and a selected number of international members. It comprises a nationwide network of canine behaviour advisors who offer a comprehensive referral service to veterinary surgeons and their clients for owners of dogs with behaviour problems. The TCBTS (formerly UKRCB), recommended by the Dogs Trust (formerly the National Canine Defence League) has a real commitment to education and promoting responsible dog ownership. As a result of our mutually compatible interests in promoting highly qualified, ethical animal behaviour advisors, Compass and the International Association of Animal Behavior Consultants are pleased to announce the approval of continuing education units now being awarded for select Compass courses and classes. The IAABC is a professional association for the field of animal behaviour consulting. The association represents the professional interests of behaviour consultants throughout the world. It is involved with the problems, needs and changing patterns of animal-owner relationships, and helps to ensure that trained practitioners meet the public's needs. The National Search and Rescue Dog Association is the organisation that provides a point of contact for all the regional SARDAs around the country. Compass is operating in partnership with and supports the work of NSARDA, it runs a specially developed diploma course for SAR dog handlers and heavily subsidises the students. ISAP (www.is-ap.org) is a professional community of people working with animals around the world with a common interest of sharing knowledge and experiences. They also accredit all Compass courses and are able to award appropriate Certificates and Diplomas to those registered as Student Members. Many Compass courses qualify students to apply for Associate or Full membership on successful completion of their studies. The Institute for Animal Care Education exists to promote education within the animal care industry. It was founded in 1996 and promotes a range of courses for the industry. The Institute fulfils the requirement for a body within the animal care sector which is focussed on the education and welfare needs of the industry. The executive council also agrees the appointment of a panel whose role is to agree codes of practice and standards within organisations delivering courses as well as appointing external verifiers to ensure that those animal welfare and educational standards are maintained. All courses recognised by the Institute that are outside the National Framework (privately provided) are certificated by them. All Compass Education Ltd courses are written by industry experts and provided exclusively in the UK by Compass, they are not available anywhere else. Courses are unique to Compass and accredited by Ofqual regulated Awarding Bodies and/or Industry Professional Bodies as indicated in each course description. In common with the overwhelming majority of private educational provision in this sector they do not appear on the QCF or SCQF.